It was a Georgian Rhapsody as tonight’s theme for Georgian Idol was Queen, with ten contestants vying to rock you as they aim to represent Georgia at Eurovision 2019 in Tel Aviv, Israel. Beso Nemsadze and Mariam Kakhelishvili were the first contestants eliminated. 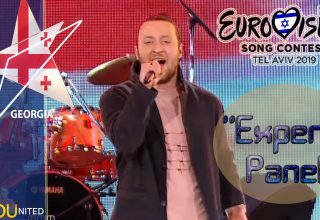 Nemsadze, who impressed with his spot on Grigory Leps last week, but was out of his blues and Eastern European comfort zone with his take on “Fat Bottomed Girls.” Perhaps trying to channel Leps in his performance of a Freddie Mercury classic was not the right decision. 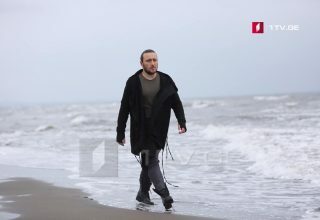 Kakhelishvili, who represented Georgia at Junior Eurovision in 2010 with “Mari-Dari,” similarly struggled with “I Want to Break Free” though more from timing and pronunciation issues than Nemsadze’s stylistic choice backfiring. 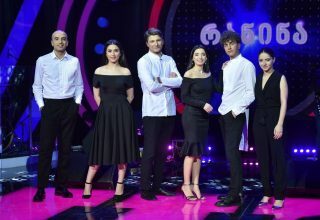 Held at the Tbilisi Concert Hall, tonight’s episode was the first live contest after the three episodes of auditions winnowed down the pack to the ten contestants tonight. 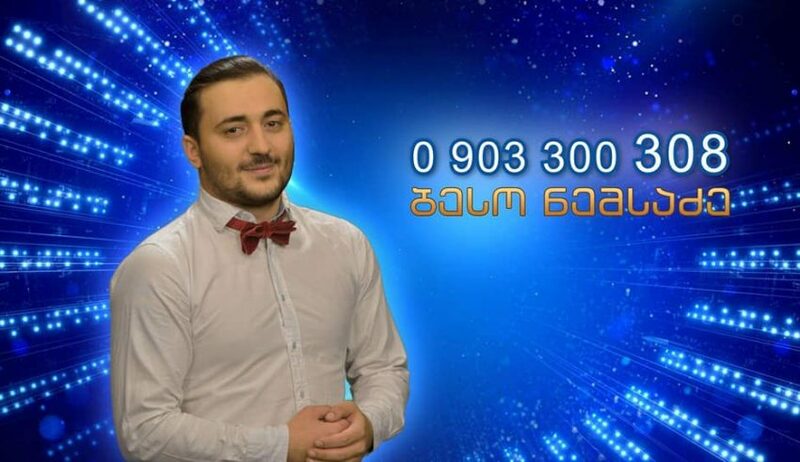 For the first time, viewer votes were solicited from Georgian Idol viewers on their Facebook page, with the votes from there being combined with the traditional call-in votes. Also new to the show was the “MegaTechnica” Internet room, where Irakli Gaprindashvili interviewed the contestants for live reactions to their own and other contestants’ performances. 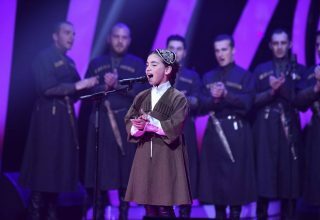 Based on social media responses, Tamar Lachkepiani and Giorgi Nakashidze gave performances that impressed the voting public, with the 17-year-old Tamar from Rustavi in particular beginning to amass a following despite being the least well-known of the ten. 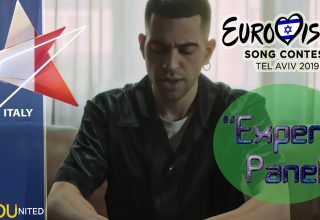 The judges are Stephane & 3G’s Stephane Mghebrishvili, “Unser Lief fur Lissabon” and X-Factor contestant Natia Todua, Georgia Public Broadcaster’s (GBP) Media and Communications Director Tinatin Berdzenishvili, and head of London-based Bravo Records Zaza Shengalia. 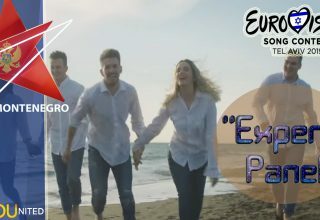 The GPB opted to use the Georgian Idol format to find their next singer after two years of internal selection resulted in non-qualification from the semi-finals at Eurovision 2017 and Eurovision 2018. Additionally, the song entry will be selected separately, with submissions to be incorporated into the later rounds of the show, though the CPB’s call for the public to submit their entry is still open until February 1, 2019. 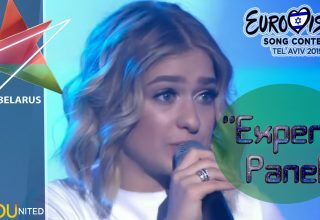 Do #YOU agree or disagree over of the two contestants eliminated from Georgian Idol? 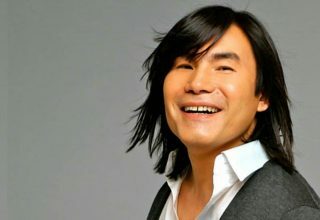 Who is your favorite from the Georgian Idol selection thus far? Comment below, in our forums, or on social media. Next article France Has Spoken: Bilal Hassani Is Going to Tel Aviv!